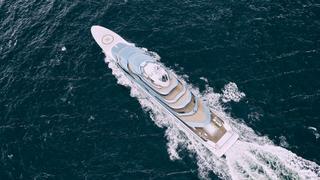 Dutch yard Oceanco has given an update on its 110 metre flagship yacht Jubilee, which is currently in the final stages of its extensive sea trials. 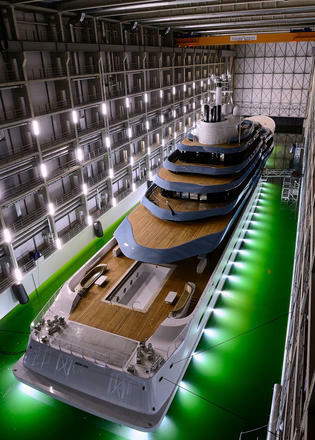 The largest superyacht built in The Netherlands to date, she will join the ranks of the world's largest superyachts when completed later this year. 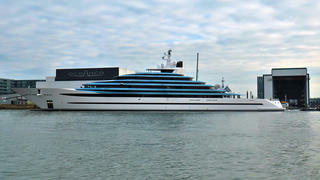 The new build project was signed by Burgess in October 2012, with naval architecture by Azure and Oceanco, and interior design by Australian Sam Sorgiovanni. The technical consultancy services division of Burgess acted as both technical consultants and owner’s representatives. 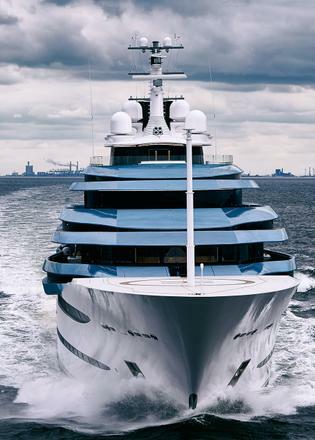 Exterior styling is by Igor Lobanov, who has used large expanses of horizontal glazing that trick the eye into thinking that Jubilee has even more than her five decks. Jubilee was built from a steel hull and aluminium superstructure to have a total interior volume of more than 4,500GT. Power comes from a pair of MTU diesel engines for an estimated top speed of 18.5 knots. Key features include a fully-certified foredeck helipad, an aft-deck swimming pool with built-in aquarium and a superyacht beach club below. Accommodation is for 30 guests in 15 cabins, including a separate owner's deck. In a statement, the yard added: "This yacht has a very sleek and original profile that will surely turn heads wherever she travels. Her elongated profile flows elegantly and gracefully from bow to stern." 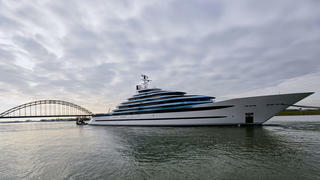 Jubilee was the first yacht to have taken advantage of Oceanco’s new state-of-the-art facilities. 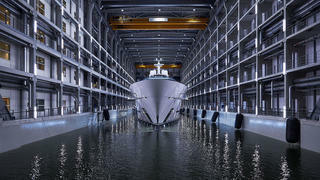 The Dutch superyacht builder announced its expansion in 2014, which included building a new dry dock with a shed to accommodate yachts of up to 140 metres in length, measuring 62,000 metres square. The 33 metre-high building and dry dock, constructed in concrete and heavily insulated with integrated thermal and cooling systems, is said to be virtually impervious to outside weather and ground water temperatures. 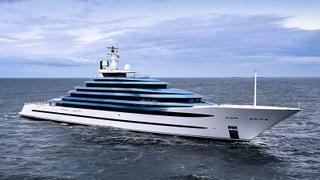 Oceanco is also building the largest sailing yacht ever to be built in The Netherlands, Black Pearl. The DynaRig sailing yacht features a unique array of green technologies highlighted by the ability to operate entirely on solar power. Delivery is scheduled for 2017.